Talks about a startup bubble have been all over the press for the past decade. 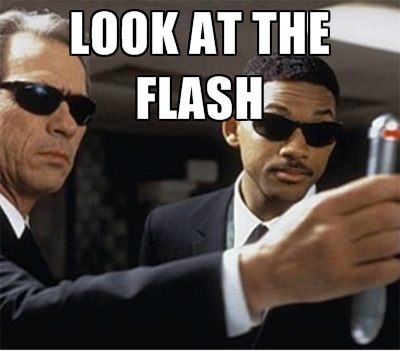 Josh Kopelman has an interesting take on that: “Even a broken clock is right two times a day. By proclaiming a bubble every year, everyone can say they called it.” Even though Fred Wilson said ‘burn baby burn’, the public market has done a good job so far correcting whatever inflated bets by private investors. Here’s my take to end whatever bubbly assumptions you might have with a simple explanation… Let me know what you think in the end. See, the graph is wider than tall to keep the proportions between deployed capital and returned capital. A high return should be considerably larger than the invested amount. 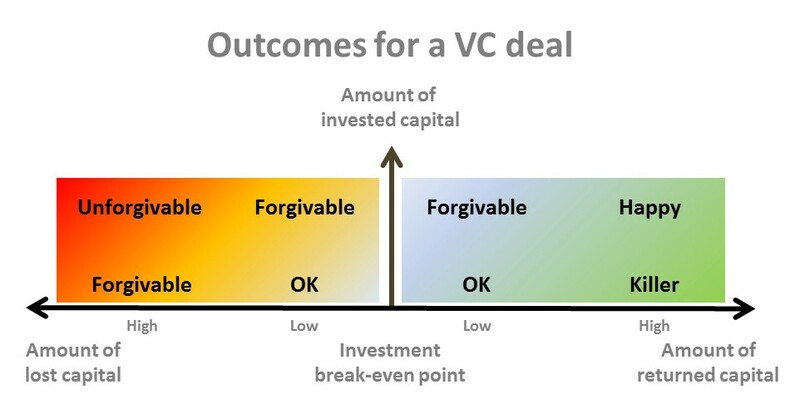 My biggest wins as a VC will be the deals with highest proportional returns, located in the green area. I can be forgiven for any other blue or orange section (even when I invested small amounts and the losses were huge: either I own a very small stake or my write-off is long past). Only the red area indicates I’ve been a bad, bad VC: I picked a deal that consumed a lot of capital (and maybe doubled-down to cover losses) but the company is a black hole of money, due to bad unsupervised execution or my bad VC handling. This is why VCs manage portfolios, and not single deals : to make sure that risk of failure is distributed over a string of investments. But when your hear talks about a bubble popping up everywhere, this gradient graph can be a good framework for understanding the market. Imagine we gather all investments in the market today, and throw them into a deep bag. That would hold several thousand invested startups from all the VC funds at the present moment — in other words, today’s VC market as a whole. All the best performing funds would be located inside the green area, some slightly dragged to the blue section because of the few poorest performing startups in their portfolio. The orange section is sometimes unwanted, but hey, it happens a lot. But bubble? Really? 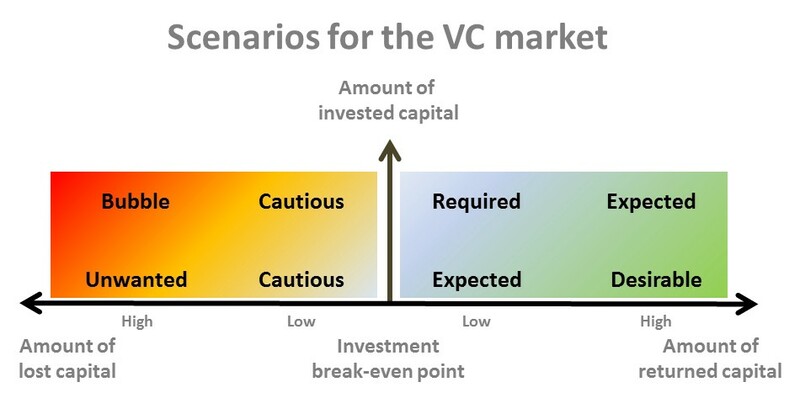 A bubble is when the market as a whole — or a very high percentage of it — is systematically bleeding VC money, and that would be if a considerable portion of the VC deals were located inside the red area. That was the public Internet market in 2001, but it is not what we’re going through presently. We’re not in a bubble. Yet. What we’re going through is that some widely known deals have been consistently showing signs of entering the dark-orange section: peak-high valuations and excessive burn rates, and may be tilting the market towards the red blooded hell. When those specific deals are examined individually, yes, they are somewhat scary – but we’re far from a pandemic disease. Even though, beware: all hope abandon, ye VC who enter the darker shades of bubble.